In North Carolina, when property offenses such as breaking and entering, robbery, theft, or receiving stolen products are comprised, proof is the key element in identifying the way to make sure the best possible results for the accused are reached. Jason Wilson’s first job is to make sure that your privileges are not disregarded. Secondly, it is similarly as important to make sure each element of your case has been analyzed, and all invalidity in the prosecutors evidence has been revealed. Property crime offenses range from misdemeanors to felonies, and are then identified with respect to two considerations: the degree of the expenses based on value of the thieved goods or money, and whether a weapon was involved or a residence was violated. North Carolina regulations against property crimes are intended to be tough in an effort to prevent property crime offenses in general. Having an experienced, competitive lawyer can make all the difference in the results of your case. Jason Wilson can work with a team comprised of professionals, including private detectives, fingerprint and video experts in any criminal case. As a group, each of these experts play an important role in helping you avoid a property crime offense indictment. Jason controls and manages these experts, looking to show doubt at a trial. 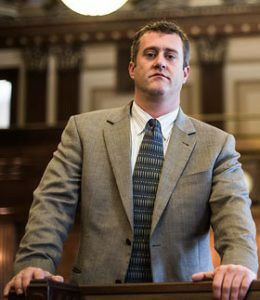 Jason can offer counseling and representation through every stage of the criminal justice process, from the start of the criminal investigation, through an appeal, if needed. Call Jason Wilson today for a free consultation.